The decline in HIV infections in gay men reported last month by four London clinics is now confirmed all over England. And PrEP usage among gay men might be the main reason for this exciting news. The main reason for this dramatic fall could be the use of PrEP, the pre-exposure prophylaxis treatment that reduces the risk of getting infected by HIV. PrEP is not available on NHS and the monthly treatment cost about £400 (about $500). But what the initial findings from London STI clinics suggested earlier this year is that most people are buying the drug in generic version on the internet for ten times cheaper. Official advice says it is dangerous. “Medicines purchased in this way could have the wrong active ingredient, no active ingredient, or an incorrect dosage,” says a spokesperson for the UK Medicines and Healthcare products Regulatory Agency. But many are buying their drugs from a website called I Want PrEP Now, which works with NHS clinics to check the drugs are genuine. Doctors also provide the generics users with urine tests, to check the medicine isn’t causing kidney damage, as this is a possible side-effect. Maybe the fall can also have other explanations including wider and more targeted testing or TasP (Treatment as Prevention), a strategy that’s encouraging people to start antiretrovirals drugs (ARV) as soon as they are diagnosed. Once you’re on ARV’s, transmission is reduced to almost zero because of undetectable viral load. 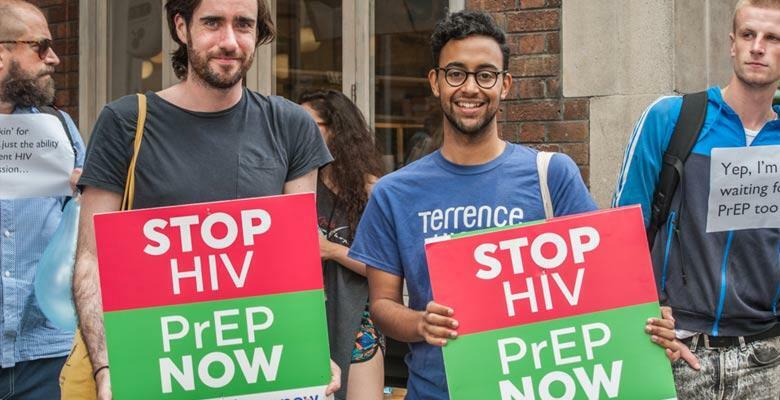 It is estimated that 2,000 gay men are now taking PrEP in England and Wales. “The new figures for England are “great news” told Gus Cairns of the HIV information charity, NAM, to New Scientist, as he was attending the conference.” “Something is working”, he added. In the UK, just over half of new HIV infections occurred in gay men until last year, so a sharp decline in this group could have a significant impact on the dynamics of the epidemic there.